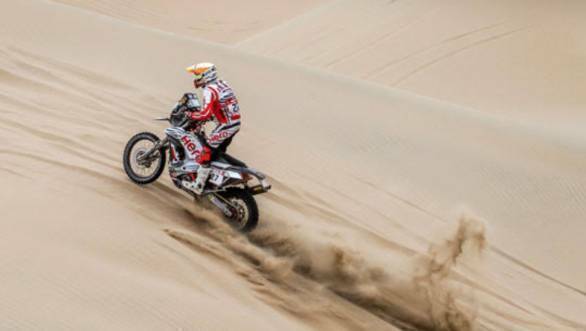 The penultimate stage of the 2019 Dakar Rally ended well for the Hero MotoSports Team Rally outfit. Both riders, Oriol Mena and Joaquim 'JRod' Rodrigues rode well to end the ninth stage in solid positions. 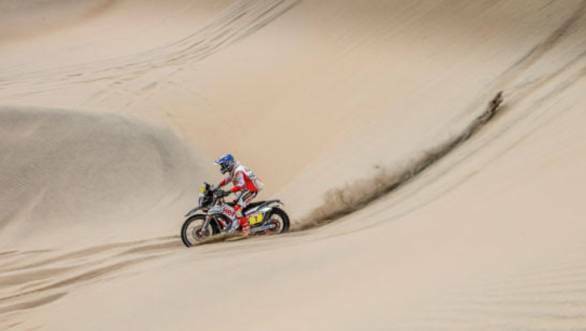 The stage comprised a run of 313km, with a mix of sand dunes and soft gravel terrain, with riders beginning the stage side by side, in batches of 10. Mena, who has ridden consistently all through the rally ended Stage 9 in 11th position. This moves him to ninth overall in the Moto class with just one stage left in the rally. Speaking of his performance in Stage 9, Mena, who rides the No.7 Hero 450RR said, "I am happy with my stage today. It was a mass start and there were all kinds of things happening around me, like guys going in wrong directions, losing way points, engines breaking up and so on. So I decided to shut myself off and do my own race with my own rhythm and flow. One more day in the book and now only one more day to Lima." The day was slightly harder for JRod, who had suffered a crash on Stage 8, and had to tackle the ninth stage despite severe back pain that plagued him. He ended the stage 19th, which puts him 17th in the overall rankings. JRod, who rides the No.27 Hero 450RR said, "Hard day today, I had a crash and damaged my bike a little bit. My back is still sore from yesterday so I decided to just take it easy and bring my Hero to the finish line safely. So difficult day today but we are across the finish line today with only one more day to go." The final stage of the 2019 Dakar Rally sees participants run the course of a 112km loop in Pisco, before finally moving on to Lima for the post rally celebrations.